INDIANAPOLIS, April 3, 2018 – Clifford Riley has been appointed Technical Services Engineer by Asterion, LLC. Based in Indianapolis and supported by the company’s onsite analytical laboratory, Mr. Riley will be responsible for customer installations, technical applications support, and training on the proper use of Asterion® surface finishing technologies. Prior to joining Asterion, Mr. Riley was a process engineer at Arlington Plating Company (Palatine, IL). During his tenure, he was responsible for the high yield production of the company’s decorative chrome and electroless nickel plating lines, while ensuring best-in-class quality parts for use by leading automotive, motorcycle and consumer products OEM customers. Mr. Riley’s work also included product inspection, chemical analysis, and production process evaluation. 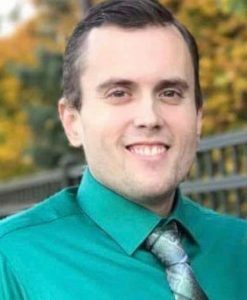 Mr. Riley earned bachelors’ degrees in biomedical sciences from Dominican University and in political science/government from Southern Illinois University, Carbondale. Asterion, LLC. is a surface technology company that provides high performance plating processes, pretreatment chemistry, and powder coatings to the surface finishing industry. The company also distributes traditional and custom blended chemistry for a variety of uses, including pollution control and preventative applications. Working closely with customers, Asterion technologies are trusted by leading finishers to manufacture high quality automotive components, consumer appliances, industrial tools, as well as a diversity of other items to extend product life, improve performance and create value. Asterion is focused on delivering solutions and support that enable customers to grow their business and bottom line. An ISO-9001 company, Asterion is headquartered in Indianapolis, Indiana, centrally located to the United States surface finishing industry. For more information, please visit asterionstc.com.